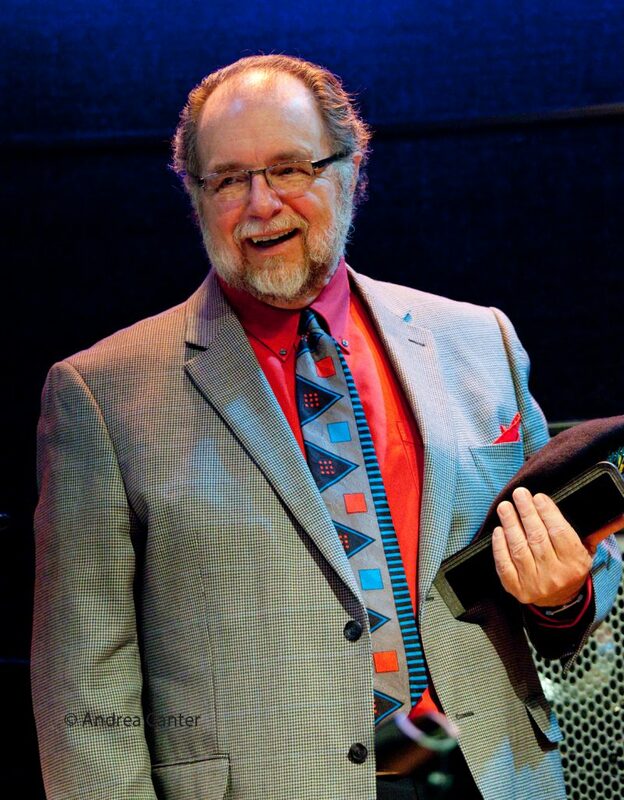 The Twin Cities lost one of its true “jazz heroes” with the passing of Larry Englund, who died of cancer on February 2 at age 73. Larry wore many hats (literally!) over his years as a social worker, tech writer, journalist, deejay, broadcaster, blogger, jazz organization board member, festival emcee, and more. And always, there was music. Over the years, he turned to blues, R&B, roots music, world beat, and jazz. His introduction to jazz came via a recording of Ahmad Jamal’s “Poinciana,” and from there he found Cannonball Adderley’s Things are Getting Better, Milt Jackson’s Big Bags, Stan Getz’s Focus, and Cal Tjader’s Saturday Night/Sunday Night at the Blackhawk. Larry ultimately landed in the Twin Cities, hosting Shake Up Southside and later Streetlight Serenade on KFAI and freelancing as a music writer for City Pages in the 80s. Among his interviews were James Brown, Bobby “Blue” Bland, Claudia Schmitt and Nanci Griffith, while he also reviewed albums and gigs from Sonny Rollins to Dr. John, and wrote about local musicians for the neighborhood paper, The Villager. Even after returning to school (earning an MBA at the University of St Thomas), Larry continued serving the music community, hosting Rhythm and Grooves on KFAI with live interviews (George Duke, Maceo Parker, David Sanborn, Esperanza Spalding, as well as local and regional artists) and creative programming that introduced Twin Cities audiences to everything from Fats Waller and Louis Armstrong to Joe Lovano and Charles Lloyd. 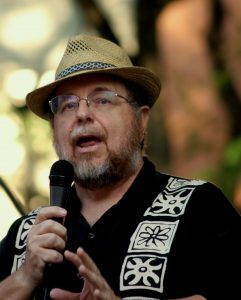 Larry retired from KFAI at the end of 2017, but continued his weekly “Rhythm and Grooves” blog/email through January 2019 (after 9 years), citing the best of the week’s upcoming gigs in jazz and blues. 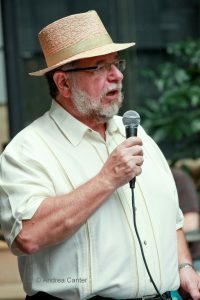 He occasionally wrote articles or interviews for Jazz Police.com, mostly recently an interview with pianist Emmet Cohen. He also continued spinning vinyl (mostly classic soul and funk) for Sunday brunch at the Nightingale in Minneapolis and for special occasions at other venues. 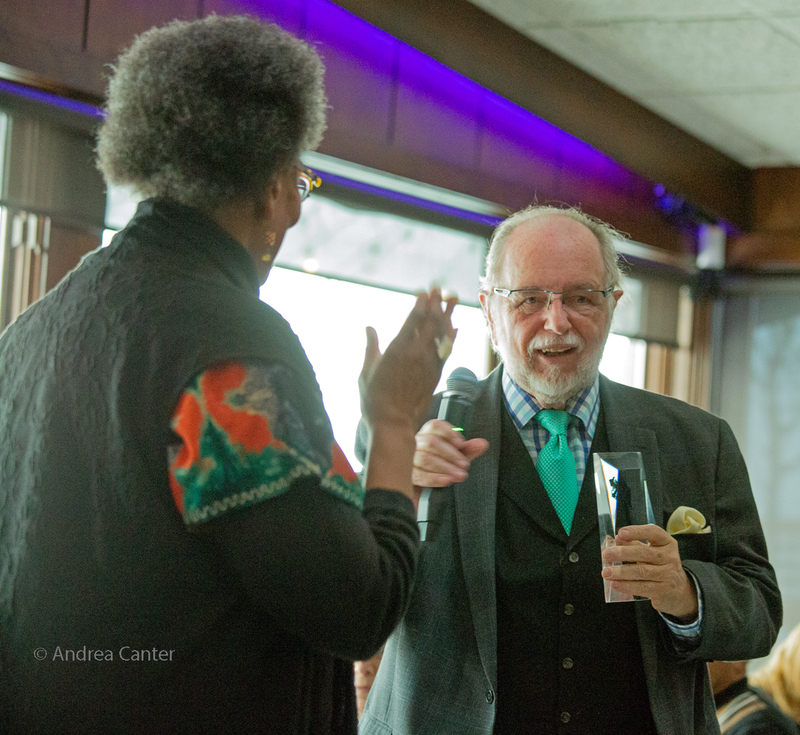 Larry’s commitment to the local music scene was not limited to print and radio — he also served on the Boards of the Twin Cities Jazz Festival and Dakota Foundation for Jazz Education, including six years as Board Chair of DFJE. He was often on stage as emcee for the annual DFJE Youth Stage at the Twin Cities Jazz Festival. He also produced a couple outdoor festivals, as well as a show called Saint Paul Live! for KBEM. Larry was also an active consumer of live music, sometimes seen at three different venues on a given night. In early 2018, Larry was named a Jazz Hero by the Jazz Journalists Association, following his nomination by Janis Lane Ewart. The award was presented on April 8, 2018, at Crooners Lounge. Larry is survived by his wife Liz, two sisters, and the Twin Cities music community. He promised that “a memorial / celebration service featuring some of the area bands that I have been so fond of will be held …at the Hook and Ladder in Minneapolis.” The date has been set for 2 pm on April 7.